If you frequently have trouble breathing, you may suffer from asthma, a chronic and incurable disease of the lungs that causes inflammation and a narrowing of the airways. This narrowing lessens airflow to the lungs, causing subsequent breathing trouble. Many sufferers also experience symptoms such as wheezing shortness of breath, tightness in the chest, and coughing that frequently interferes with sleep. Although asthma frequently develops during childhood, it affects people in all age groups. Nationwide, an estimated 25 million people are known asthma sufferers, including roughly seven million children. 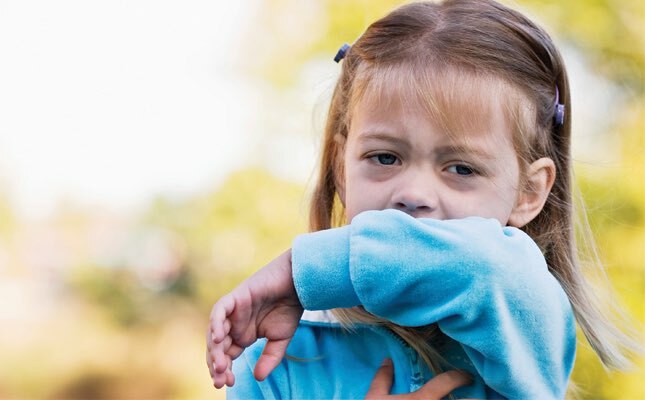 Young children who experience frequent wheezing and respiratory infections are the most likely to develop asthma that continues beyond early childhood. Additional factors, such as other allergies, eczema, or dermatitis (skin inflammation), or having parents with asthma, increase your asthma risk factor. Those who develop asthma through contact with chemical irritants or industrial dusts suffer from a specific type of asthma, known as occupational asthma. Let your doctor know if you work around products that are known asthma triggers. Shortness of breath, difficulty catching your breath, or feeling out of breath. A whistling or squeaky noise emitted when breathing, commonly referred to as wheezing. Coughing that grows worse at night and in the early morning. Chest tightness or a “squeezing” feeling from restricted airflow. Few people will experience all the symptoms of asthma. Even those who do may not, in fact, have asthma. To determine whether asthma is the actual cause of your symptoms, a thorough examination will be conducted. This will most likely include a medical history, lung function test, and a physical exam to rule out other possible causes. Determining the severity of your asthma is essential to proper treatment. For some, symptoms may be mild and cause little disruption. For others, they can be life threatening. Your doctor will develop an asthma treatment plan based on whether your asthma symptoms are mild, moderate and intermittent, or chronic and severe. Testing for asthma typically starts with listening to your breathing and looking for signs of allergies, since allergies tend to be common among asthma sufferers. Your physician will also evaluate symptoms, such as wheezing, swollen nasal passages, a runny nose, and eczema. Even though these symptoms are all likely signs of asthma, they may or may not be present at the time of your examination. Your doctor may need to perform additional tests to confirm an actual asthma diagnosis. In some cases, spirometry may be used to check lung function. If so, you’ll be asked to quickly expel air from your lungs so that your doctor can measure the amount of air going in and out as you breathe. After the initial test, you may be given medicine and asked to repeat the procedure to detect any improvement. Allergy testing to discover which, if any, allergens affect you. A bronchoprovocation test to measure the sensitivity of your airways. 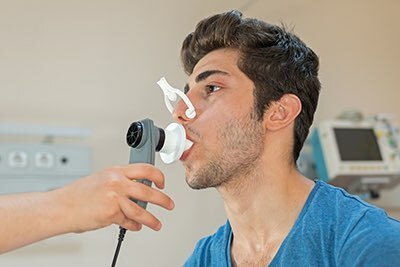 This test uses spirometry to repeatedly measure lung function during physical activity. You may also be asked to breathe increasing doses of either cold air or a special chemical agent. Additional tests to rule out conditions with similar symptoms to asthma, including sleep apnea, reflux disease, or vocal cord dysfunction. A chest x-ray or EKG (electrocardiogram) to check for a foreign object or other disease that might trigger symptoms. At present, asthma is a chronic disease with no known cure. Therefore, the goal of treatment is to combat asthma symptoms and help sufferers live more normal lives. To achieve this, most asthma sufferers will require medication. Asthma medicines fall into one of two categories: instant relief or long-term control. Your doctor will prescribe the treatment method or, more likely, methods of treatment that will be most effective in treating the types of symptoms and their severity. Instant-relief, rescue-type medicines, designed to treat flare-ups and to quickly restore breathing function during an asthma attack. Long-term control, used to prevent asthma attacks by reducing airway inflammation and preventing symptoms. The severity of your asthma will determine your initial treatment. Subsequent treatments will be based on how well your “asthma action plan” controls symptoms and prevents attacks. The treatment process will require regular monitoring, as asthma symptoms usually change over time. Anyone who experiences asthma attacks needs a short-term plan to combat them. In most cases, your doctor will prescribe a quick-relief medication for flare-ups. These types of medicines, usually beta2 agonists, work quickly to restore breathing by opening up inflamed airways. Quick-relief medicines should be taken as soon as you experience asthma symptoms. Keep your quick-relief inhaler with you at all times for this purpose. These medicines aren’t, however, a replacement for long-term control medications, since they don’t reduce the inflammation that triggers an asthma attack in the first place. In addition to short-term relief, asthma sufferers should have a long-term control method for preventing attacks by reducing inflammation of the airways. Unlike short-term relief medications, long-term control medicines help prevent symptoms that can lead to an attack. The most commonly used medications for this purpose are inhaled corticosteroids. Take part in normal daily activities. Prevent or reduce asthma symptoms. Reduce reliance on quick-relief medications. Prevent asthma attacks and subsequent emergency room visits or hospital stays. Your doctor will likely prescribe a long-term control medicine to be taken daily. These types of medications are used to prevent symptoms—ideally, before they trigger an attack. They’re not effective in treating short-term attacks. Inhaled corticosteroids are the most commonly prescribed type of medication for delivering effective, long-term relief of the inflammation and swelling that causes airway sensitivity. For most patients, these medications reduce the severity and frequency of symptoms. They do have side effects, however. Ask your MD Now doctor how you might reduce, eliminate, or even avoid some of the more common side effects of asthma treatment. Your doctor likely will also prescribe a quick-relief medication to be used for asthma attacks. These medications provide fast relief from asthma symptoms, even though they’re not effective in relieving the inflammation that triggers these symptoms. For this reason, most doctors include both types of medication in an effective asthma treatment plan. Make sure you take all medications as prescribed. Long-term control medicines, whether inhaled or in pill form, must be taken daily in order to maintain their effectiveness. If you don’t take them as directed, you may experience a return, or even worsening, of your asthma symptoms. Most asthma medicines are delivered through an inhaler—a device that sends the medication directly into the lungs. There are many different types of inhalers your doctor may prescribe for you. Make sure you receive proper guidance on the inhaler’s recommended usage. Since asthma can be affected by changes in the home, work, or school environment, most patients require regular and frequent monitoring. This will help your doctor determine when or if your asthma action plan requires adjusting. Your MD Now doctor will work with you to ensure that you get the most appropriate treatment based on the type and severity of your current symptoms. Most patients’ asthma symptoms vary in frequency and severity over time. For some, the symptoms are merely annoying. For others, they can be life threatening. For most, they fall somewhere in between and can be controlled by exercising caution and limiting your daily routine. Beware of more severe symptoms, however, as these can be fatal. Early treatment of symptoms is crucial in preventing them from worsening. With proper asthma treatment, most sufferers live normal lives, experiencing few symptoms that disrupt their day. Since there is currently no cure, long-term care is the only successful means of treating asthma. Most asthma sufferers learn to successfully manage their symptoms by carefully following the asthma action plan developed by their doctor. Getting regular checkups and taking medications as prescribed can be vital to a plan’s success. Even more important, you need to know which asthma triggers to avoid and when to seek emergency medical care. Cigarette smoke, air pollution, chemicals or dusts, certain compounds in home décor products, hairspray, and other sprays. 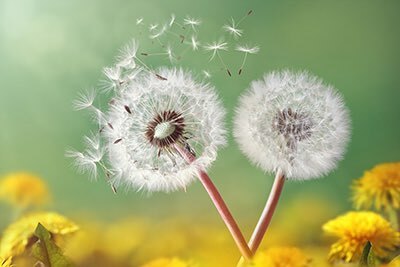 Dust allergens from mold, cockroaches, animal fur, or grass, tree, and flower pollens. Sulfites found in food and drinks. Aspirin and other nonsteroidal anti-inflammatory drugs (NSAIDs) and nonselective beta-blockers. Colds and other upper respiratory viral infections. Exercise and other physical activity. Your doctor may consider certain other health conditions in the management of your asthma. For example, if you frequently experience reflux disease, sinus infections, a runny nose, psychological stress, or sleep apnea, these conditions will need to be factored into an effective overall asthma management plan. When a serious asthma attack strikes, speed is crucial. Immediately call 9-1-1 or head to a nearby emergency room. For milder asthma attacks that cause distress, seek help from your nearest MD Now Urgent Care Center. 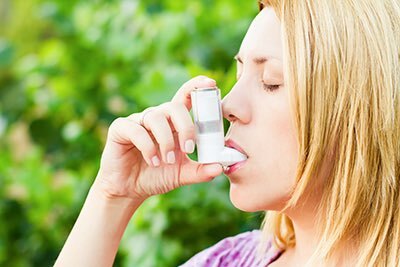 Our extensive experience in the treatment of asthma will help you effectively manage your symptoms.